I am sorry, but I cannot accept any new clients until Monday, March 11th. If you wish to have a session, please return to this site then. If you had a session with me in the past, and you wish to book a new session, please contact me via email or the contact page to make arrangements. As Divine Beings we have certain spiritual birth rights. They are: Receiving love, having abundance, freedom, power, free will, choice, safety, trust, self-worth, self-respect and eternal life, just to name a few. Unfortunately most of us are far away from realizing and having these. This package will help you own them more. 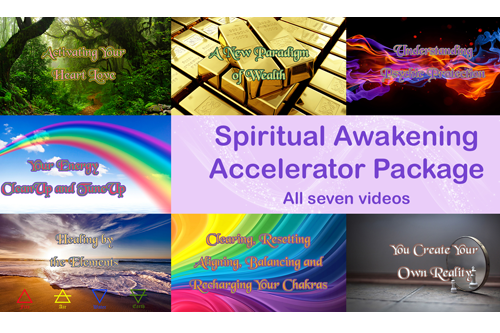 It includes all seven videos below, and is 50% off from the total price of the individual videos. DANIEL THE HEALER is an Energy Healing Practitioner, Body Whisperer, Psychic Energy “Chiropractor,” and Spiritual Counselor who heals with Love. He is the ultimate authority on your energy field.